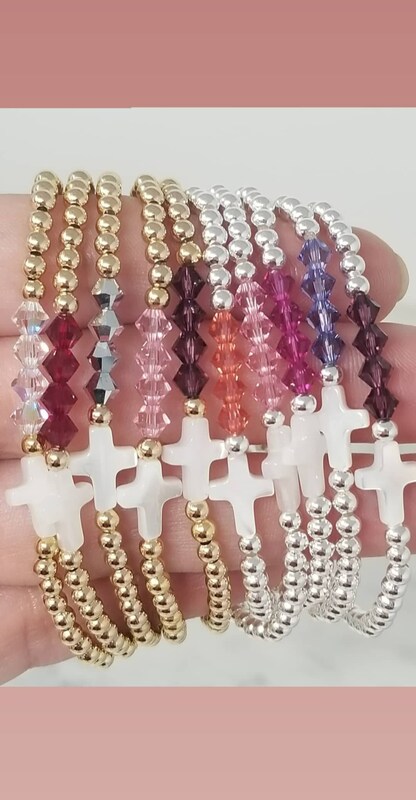 Listing is for one stretch bracelet. 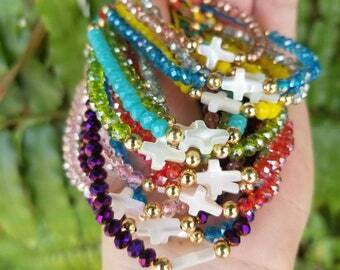 Bracelet is made of gold filled beads, genuine Swarovski crystals and a Mother of Pearl cross. Bracelet will be made at 6.5 inches, which will fit an average size 7 inch wrist snug, but not tight. If you would like it adjusted bigger or smaller, please let us know and we will more than happy to accomodate sizing. 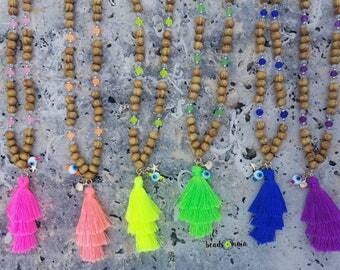 If you're interested in making them for your little one let us know too!